We have had a very busy month, as spring has sprung and artists are blooming! 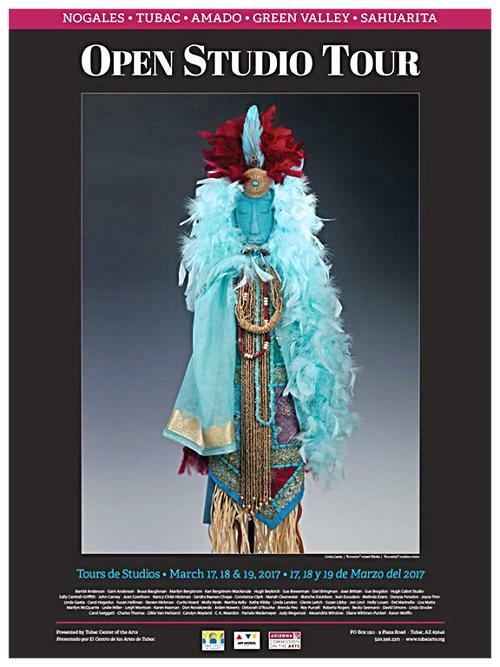 First of all, Faith Posey‘s exhibit Mujeres de Mexico drew rave reviews. Faith (far left, upper photo) lived among the women at Isla de Las Mujeres, Chiapas, and captured their everyday working routine in compelling and compassionate detail. This was a special collaboration with the Consulado General de Mexico as part of International Women’s Week. This is a don’t-miss show through March 31. This marks the second month of our Veterans Art Classes at the Nogales VFW Hall, with high enthusiasm and good publicity from the Nogales International – see below. A special thanks to art teachers Bernie Medley and Devin Randolph for “discovering” hidden local artists! All County-based Veterans and their immediate families are welcomed to these free sessions. Reservations at 520-287-5515 requested as space is limited. This program is made possible by grants from the Santa Cruz Community Foundation and United Way/SCC. This past weekend we participated in the Open Studio Tour (left) sponsored by the Tubac Center for the Arts that drew thousands of art lovers to our region. Four of our member artists participated by creating on site and exhibiting their past work, now hanging in the Studio area at the Hilltop. This coming weekend (phew!) 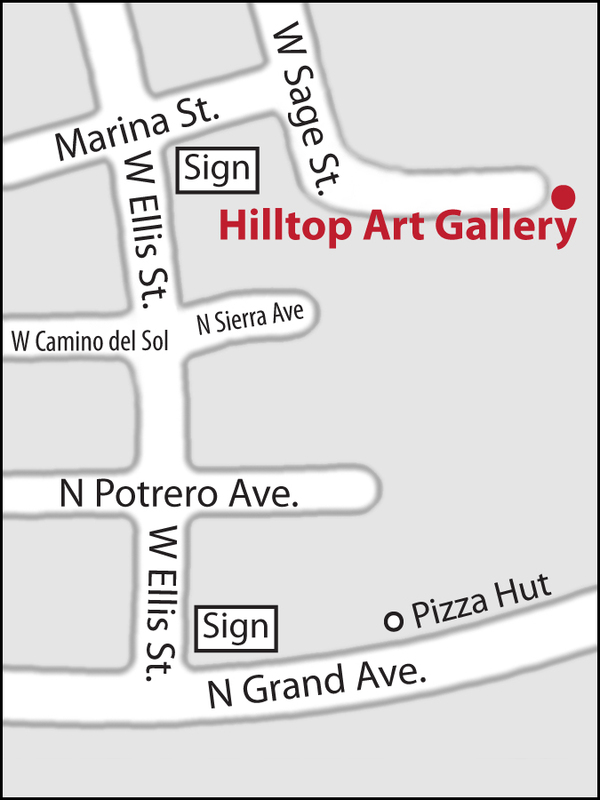 we head to the 6th Annual Nogales Bike Classic, a popular event that attracts thousands of visitors and locals for friendly competition and fun, all for a good cause (Circles of Peace that helps domestic violence-affected families) We will have a booth and a theme-relevant coloring project for kids to earn free art class coupons.